Recent press coverage and article from Scott Bekker at Redmond channel partner details a conversation with Ismail Nalwala and the value of Work 365 as a solution for CSP partners. Whether you are direct or indirect Work 365 can help partners run an efficient cloud business as described by Rosalyn Arntzen from Amaxra. Digital Transformation and Customer Experience are two areas that are on top of mind for executives and CIOs everywhere. Dynamics 365 is one of those applications that is at the center of Digital Transformation for Microsoft and its partners. Being a Microsoft partner is not an exclusive club. It’s a challenging marketplace with tight margins and innovation happening rapidly both at Microsoft and with partners. However, there are some perks of being a partner like receiving the Internal Use Rights (IURs) to some of the best technology products like Office 365 and Dynamics 365. The idea is that Partners need to be customer zero, use the products to be able to sell the products. Dynamics 365 formerly Dynamics CRM or CRM online, is one of those products which can be used to run your entire business! As we released Work 365 for Partners I was recounting our journey– which involved us trying to make the most use of the application to keep us relevant and stay ahead. In reflecting back, we were Digitally Transforming while attempting to deliver great Customer Experience. As a Microsoft Partner, we had access to early versions of Dynamics CRM. Today we are using Dynamics CRM in every function of our business but it wasn’t always like that. I wanted to share in this article our own journey to see if I can relate this back to other partners who are thinking of where to start or get feedback from those that are ahead of us on what we could be doing. We started with the Sales module to have a contact management system in place in late 2010. We went from Contacts to Opportunity Tracking and then onward with implementing one thing after the other and eventually getting the whole company to use the system from Sales, Service, Delivery to Accounting. As a Dynamics app developer, we needed a way to deliver and manage Work 365 licenses. The manual license delivery and trial processes were time-consuming and error-prone. Once we built this license delivery mechanism in Dynamics CRM, our system was no longer just a data repository but more of a provisioning and business critical application. The graphic below depicts the different functional pieces we implemented over the years to digitize our business. The most important thing for us was the more functional areas we added the more user adoption we had and the greater the ROI. We started to see the complete 360Degree of our customers and provide better customer experiences with every new service and functional line. We integrated 3rd Party Partner applications like ClickDimensions for marketing Automation, Xperido for document generation, DocuSign for signature and contract management. And every year we had to work with the inevitable upgrade cycles with new feature and compatibility. To that effect, we leveraged our experience of developing apps for Dynamics, e-commerce and Dynamics 365 configuration to create Work 365 to manage our CSP and customer-facing services. CRM implementations are never done and you must work at it endlessly to improve and fine-tune the processes. Leverage the IURs and create application density to realize the investment. Application density happens by implementing connected processes in one system where users across different functions have efficiency gains from access to data, reduced training costs and process automation. Don’t worry about developing a digital strategy- but more importantly digitize your current strategy. Be the customer zero in using the Cloud services and products so that you can train the teams and serve it up to your own customers. Please share your thoughts about how you use your application IURs, tackle Digital transformation and provide exceptional customer experience. Organisations think SharePoint portal as a centralized place to get various information such as documents, news, team members, departments, etc. At its core, an Intranet Portal is used to displaying information to business users and formal contents. For the majority of the organizations, SharePoint is just a common platform to come together to share information and communicate but the real motto is not only collaborating but being productive. The only thing that makes any organization a successful one, only by choosing the right tools to achieve their goals. The productivity tools make business users lives well-organized, exciting, easier and more productive. The SharePoint Modern workplace may consist of the home page, Procedures, and manuals, corporate news or announcement but does it provide the relevant information as per the business users need or interest. The motto of an organization is to provide push information through publishing, select collaboration tools, work together and smarter. Organisations need to move towards a new world with three components. In a real-world scenario, when you want to broadcast a message, share a story or publish the content for readers, or launch a product or service then the Communication site is for you. You also need to understand the various parameters while setting up the SharePoint intranet and extranet, the nature of the line of businesses, governance, content authors and quantity. We helped numerous organization to setup SharePoint intranet in accordance with their requirements, respective branding, and audience, so that they become more productive in a smart way. Communication site can be used for Training, Policies and guidelines, a new initiative or marketing campaign and so on. You can select any one of the templates to start with, nonetheless, you can add, remove, or rearrange web parts anytime. 2. In the top left corner of the page, select the app launcher icon and then select the SharePoint tile. If you don’t see the SharePoint tile, click the Sites tile or All if SharePoint is not visible. 3. At the top of the SharePoint home page, click + Create site and choose the Communication site option. 5. Give your new communication site a name and, in the Site description box, add some text that lets people know the purpose of your site. 6. Click Finish. Your site will be created and will appear on the sites you’re following. Your site will not inherit the permission settings or navigation of other sites. The new layout section offers you to change the page layout for any of the site designs to display your content effectively. Note: You can’t really disable Communication site creation unless you remove the Create site button from the SharePoint home. While these are the high-level guidelines for helping you to choose the right type of site, however, richer capabilities and features are on its way in coming months. Our goal is you to keep you updated with the emerging changes, you can read our SharePoint Blogs or get our newsletter directly in your mailbox. You can now use new modern site templates to make a digital workplace and leverage Communication sites for a global SharePoint intranet. Please look out for the next blog where I will be sharing more details on how to use this feature and the benefits. Like this blog or share your thoughts. Have you tried using this? 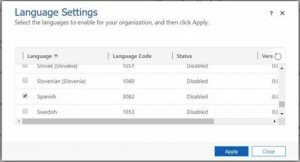 This feature is still in preview and has been introduced for SharePoint online. If you are taking advantage of this for your intranet contact us. Talk about how to do this without communication sites. The migration of existing business content to SharePoint 2016 or SharePoint Online (including Office 365) is not a small task. Ideally, organizations should spend time discovering and auditing the content, then creating an ideal information architecture to improve upon existing models. Finally, whenever possible, comprehensive testing before and after the migration should be performed to minimize risk. Major factors such as SharePoint customizations and external system integration need to be fully fleshed out before the migration work can begin. Migration and upgrade projects are an opportunity to free SharePoint content so that end-users, developers, and administrators can all benefit from improved information architecture and functionality. To complete the migration activity successfully to SharePoint 2016 on-premises or SharePoint Online (Cloud Provider under Office 365), need good planning and analysis. Many types of migration approaches exist, it is important to organizations (Architects) understand that they do not have to stick to a particular migration approach. Migrations are not so much about the technical act of moving the data (although very important) but more about the planning that goes into preparing for the migration. Migration could be defined as three separate activities. Phased: Should be flexible based on end-user needs and not the limitations of the technology. Iterative: Shouldn’t be limited by the number of migrations attempts but should allow users to provide their feedback. Error-prone: There is no simple step to “Migrate”. Keep trying until you get it right via pre-checks, customizations or third-party tools (Sharegate or Metalogix). Not the end goal: The ultimate goal should be a stable environment, relevant metadata, discoverable content and happy end users. Governance is about mitigating risks, whether managing your intellectual property from creation through archival/deletion or meeting your auditing, compliance and other legal requirements. It’s about ensuring data integrity, enforcing your change management processes, and helping you to determine the education and training needed for each role, from the end user to farm administrator. Once you have mapped your requirements against SharePoint’s capabilities, you’ll be in a much better position to be able to determine whether you should build or buy to meet those requirements. Document your environmental constraints, such as your data retention and compliance requirements, as well as Microsoft’s recommendations around site and storage limitations, performance tuning, and other SharePoint standards. You need to review all the changes on a regular basis as you add your new workloads and refine your governance strategy until you find the right meeting cadence going forward and iterate on your strategy, as needed. Archiving – An act of hiding content from users for a specific time period which could be accessed post time expiration. Retention, protection and auditing Policy – help you guarantee your records are properly retained. Audit trails are in place to provide proof to internal and external auditors that records were retained appropriately. Discovery and Record Management – To store and protect business records. Microsoft introduced the SharePoint Migration Tool which could help Organizations to achieve the milestone. However, this product is still in BETA release. We not only helped our various clients to just migrate their legacy system to the latest SharePoint platform but also transforming the existing processes to meet their business requirements and operational processes. The planning and strategies could differ for each organization but primary roadmap remains the same. Migration is not just about moving data to a new platform but using the move as an opportunity to realize your true operational vision and to get your end users and other stakeholders involved in the process. It’s a time to consider all of your business and environmental constraints, thinking about security, compliance, performance, and simplifying the platform for your end users and administrators alike. Microsoft recently announced the rollout of modern Communication sites in Office 356. This new template is available only for those who enrolled for “First Release user in your tenant“. You will now have a new site template “Communication site” along with the Team site. The good news is that in coming months it would be released full worldwide for all Office 365 customers. In the past, SharePoint publishing sites were “Classic” SharePoint Online (SPO) sites where publishing feature providing you with features as publishing pages in your intranet site, richer navigation configuration experience, etc. Classic SPO sites lacked few key features such as responsiveness, dynamic content and provided a limited user experience. Communication sites are intended to showcase your product or service, inform and engage others with the enhanced user experience. You can share news, stories, statistical reports and other information in a visually compelling format. It’s a site collection that is responsive, mobile friendly and adapted to display information in a dynamic way. Just keep in mind, Communication sites are not intended to build Intranets, they are just additional blocks for you overall Intranet. You also need to understand the various parameters while setting up the SharePoint intranet and extranet, the nature of the line of businesses, governance, content authors and quantity. In the top left corner of the page, select the app launcher icon and then select the SharePoint tile. If you don’t see the SharePoint tile, click the Sites tile or All if SharePoint is not visible. At the top of the SharePoint home page, click + Create site and choose the Communication site option. Organizations think SharePoint portal as a centralized place to get various information such as documents, news, team members, departments, etc. 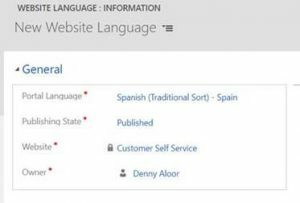 You can now use new modern site templates to make a digital workplace and leverage Communication sites for a global SharePoint intranet. By choosing the right tools, you can make business user’s lives well-organized, exciting, and easier. You can implement and transform your business process automation (BPA) to achieve your goals. There are richer capabilities and features are on its way and I will be covering and sharing those features in details at “SharePoint Blogs”. Visualization is always helpful when it comes to identifying and highlight the set of data. With the new feature provided by Microsoft in Dynamics 365, it is possible to display list views with Icons or any kind of graphical representation to make the desired data stand out. First, we will need some images to store in Web Resources for icons. I have used 16*16 pixel .png format images. So, I have used three images and stored them in the Web Resources in my Solution. You can see here that the images are in PNG format and you can choose to give any name for the images. We will also need an Option Set to display the indicators based on options selected for the record, the indicator will get displayed. Here I am using OOB Status Reason field in which I have added options as Current, Dropped, and Prospect. You can use any other option set as well. Here is the code. You can use this code to implement the solution. 1. The status code used in the script is the schema name of the column where I want to display the icons. You can see here that I have used default Status Reason field so I have used statuscode to retrieve the value of the column. You can use the schema name of the options set you are using. 2. In the script below. a. 1 is the value for Active status in the option set. b. imageName is schema name of the image. Save the view and Publish Customizations. 1. This only works on a standard grid. It does not work on the newly introduced Editable Grid. 2. Icons can only be displayed on the Web Interface. The Outlook and Mobile Apps will not display the icon. 3. Tooltips can be defined for multiple languages/locale ID (LCID). In this example, I’ve set Canadian English (LCID 4105) as the default and included Canadian French (LCID 3084) as the alternative. More Locale ID values can be found here. social engagement tool gives all the above features to analyze data and take proper action on it. To collect that information from various sources user, must set up the search topics inside the search setup section. At least one active search topic is required to acquire social data. There are different categories present in the search setup like competitor, accounts, contact, lead, campaign, & products. the user can also add their own category. Search topic gives the filtered data related to sources and different rules which user provide to it. Social Engagement covers multiple sources where you can track public posts, and publish messages and replies. All sources can be filtered in Analytics for an up-close look at your data. Find out what is covered by using the following available sources. You can add search topic names that contain up to 35 characters. The search topic names are only for your reference; they aren’t included in the actual search. Search topic names are like titles for your search topics so you can quickly relate to and use or reuse them. Social Engagement supports the following search rules. You need to be a Social Engagement Administrator or Power Analyst to create or modify search topics. Analyze your results and optimize your search queries regularly to make sure you get the most relevant data. Your searches may return posts that are irrelevant in the context you are looking for. Keep track of the number of posts that result from your search topics and count toward your solution’s post quota. Your solution is priced based on the number of posts you can acquire per month. These are the steps which help a user to setup search topic and engage with your customer. Collect all relevant data from various social sources like Facebook, Twitter, LinkedIn etc. What is being shared and communicated by whom, and when?